Other soup posts: French Onion with Braised Short Ribs, Apple Cheddar with Bacon, Silken Gazpacho, Chicken Goulash with Biscuit Dumplings, Tomato Soup with Grilled Cheese Croutons. This is going to be my last Soup Week post. I’d originally planned seven, but one of them needed to be made this week. That did not happen! 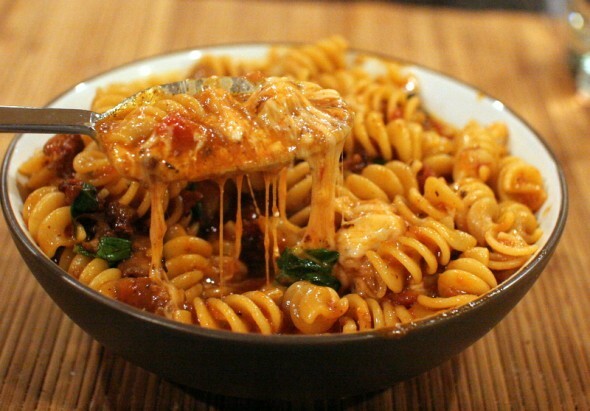 But I think I’m ending on a high note here, since I cannot think of a more exciting word to put in front of “soup” than “lasagna.” Especially when I know that the bottom of that bowl up there? 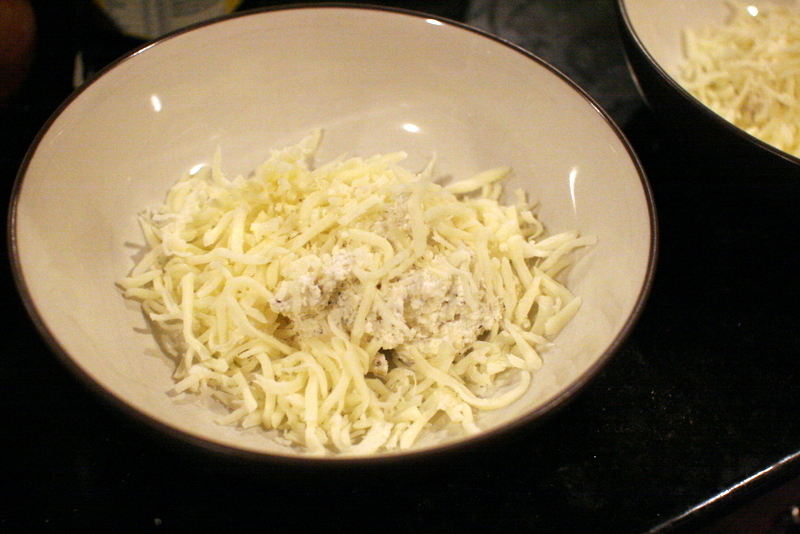 Is full of cheese. I first saw a version of this in Food Network Magazine (of course I did), but I wasn’t so wild about it. I went hunting around for something that was cheesier. 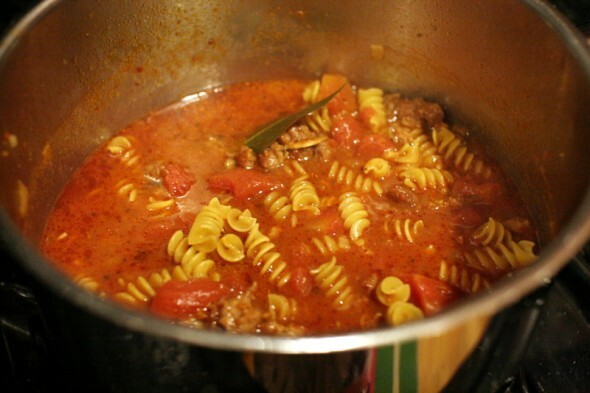 And I found a bunch of references to a Lasagna Soup recipe from the book 300 Sensational Soups. There were some variations, and some folks who didn’t give proper credit for the recipe, but there was a definite theme. A cheesy ball at the bottom of the bowl, topped with what was essentially chicken noodle soup–if you replaced the veggies with tomatoes and the chicken with Italian sausage. The best version I saw was from A Farm Girl’s Dabbles, so that’s the one I went with. The soup melts the cheese into this insanely addictive gooey mess that just screams out to be eaten on a windy night. 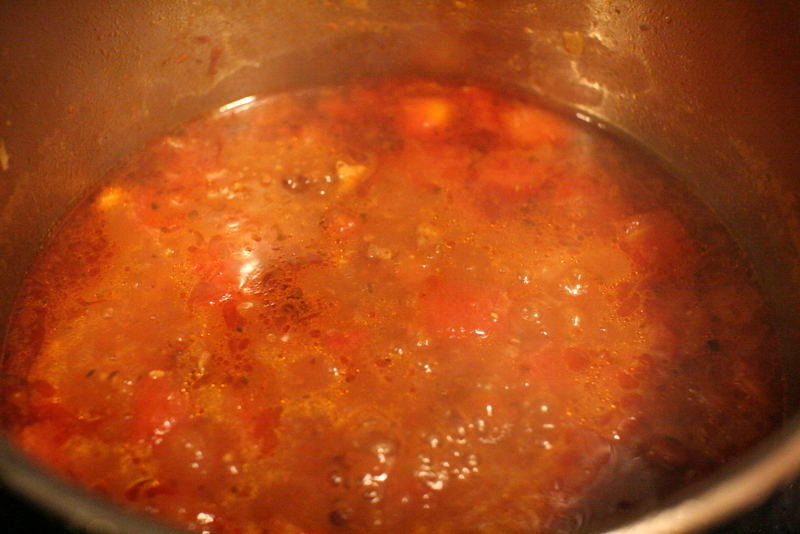 Heat olive oil in a large pot over medium heat. Add sausage, breaking up into bite sized pieces, and brown for about 5 minutes. 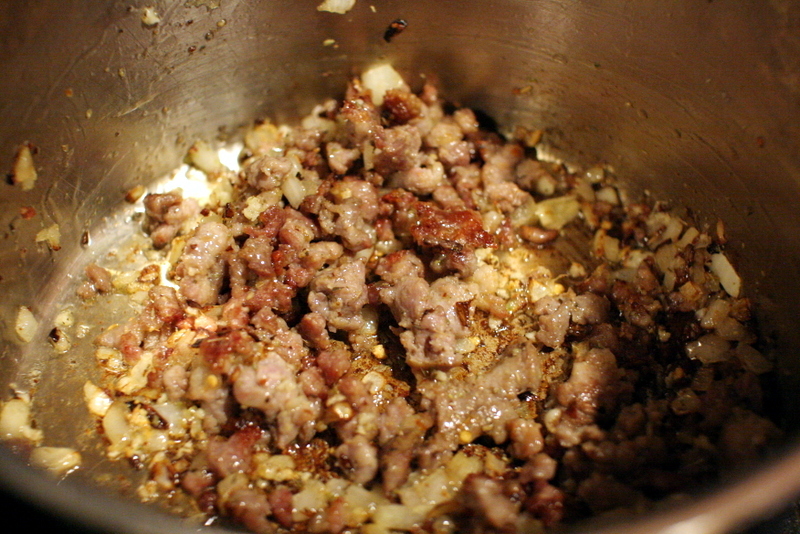 Add onions and cook until softened, about 6 minutes. Add garlic, oregano, and red pepper flakes. Cook for 1 minute. 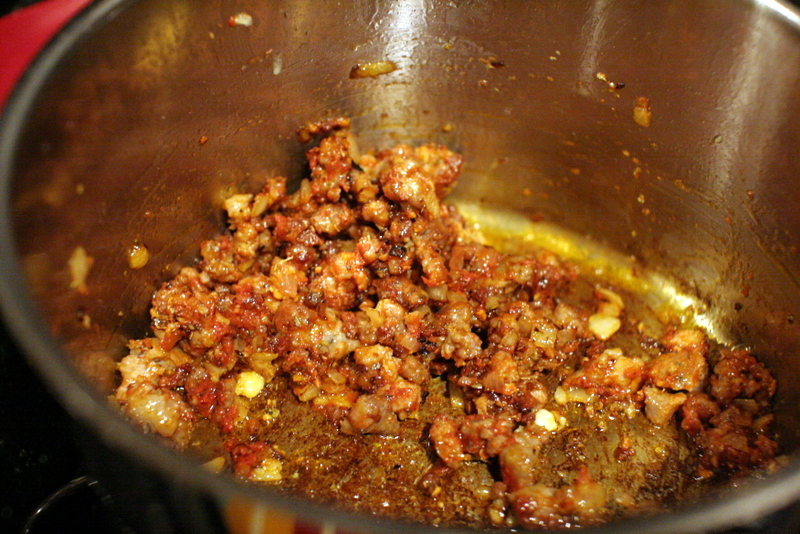 Add tomato paste and stir well to incorporate. 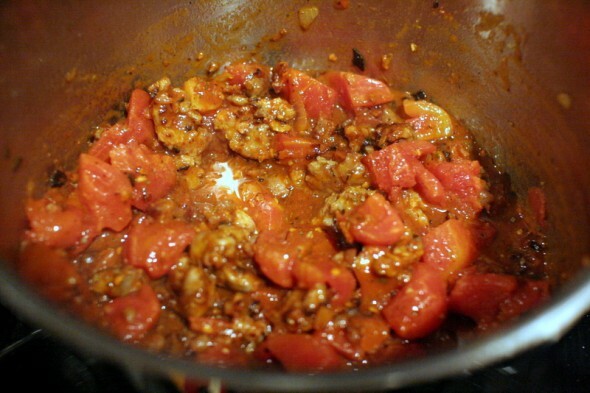 Cook for 3 to 4 minutes, or until the tomato paste turns a rusty brown color. Stir to combine. 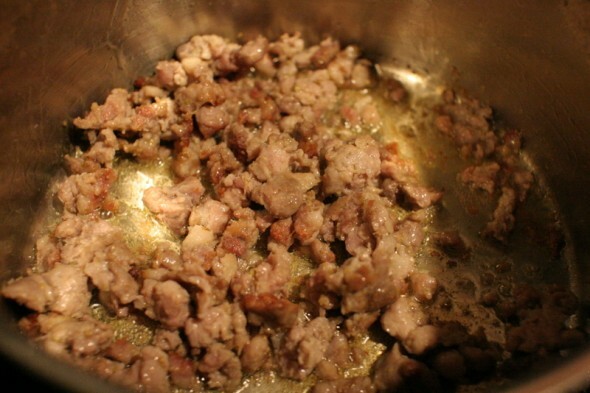 Bring to a boil and then reduce heat and simmer for 30 minutes. 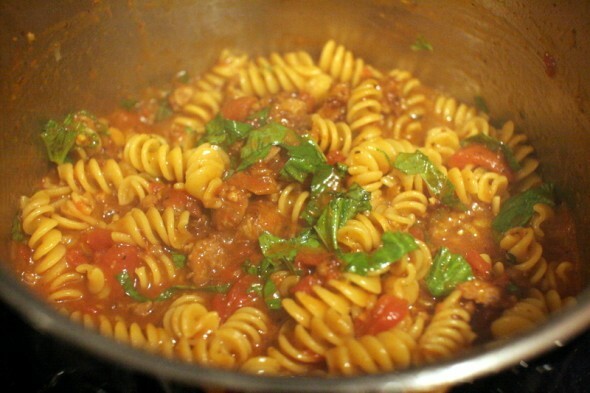 Add uncooked pasta and cook until al dente. 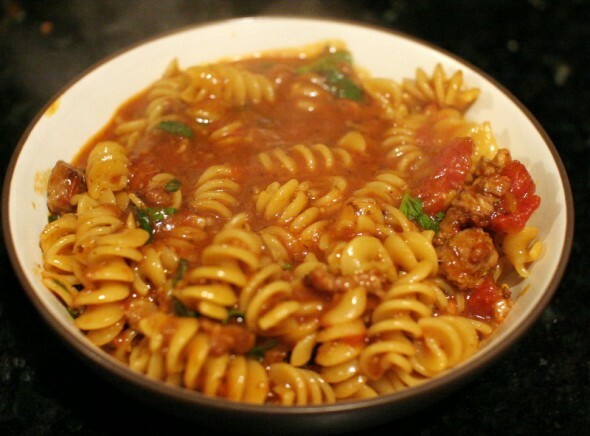 **Don’t overcook the noodles, they’ll get mushy in the broth. 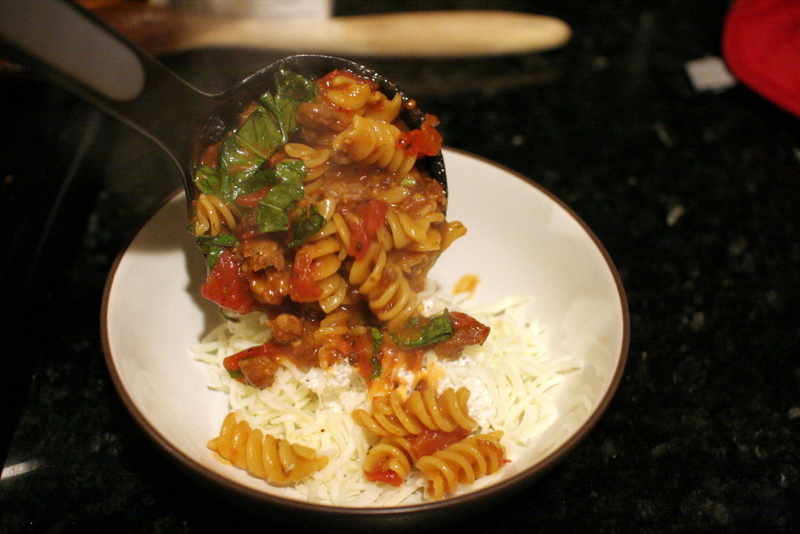 The Farm Girl’s Dabble recipe suggested cooking the noodles separately, but I did it all in one pot. Right before serving, stir in the basil and season to taste with salt and freshly ground black pepper. 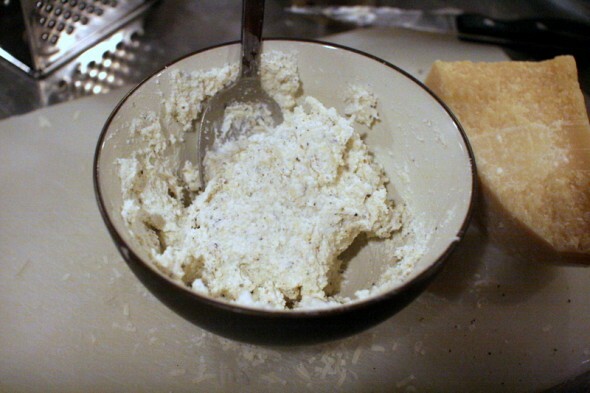 While the pasta is cooking, combine the ricotta, Parmesan, salt, and pepper in a small bowl. To serve, place a dollop of the ricotta mixture in each soup bowl, sprinkle some of the mozzarella on top and ladle the hot soup over the cheese. The. End. Happy soup eating!